News Americas, NEW YORK, NY, Weds. Dec. 5, 2018: Here are the top headlines making news from across the Caribbean for today, Weds. Dec. 5, 2018. A 44-year-old Caribbean national born in Jamaica and a resident of Queens, NY has been indicted with conspiracy to commit immigration/marriage fraud and making false statements in an immigration document. A federal grand jury late last month returned the guilty verdict charging Dwight Henry, 44, for conspiring with Jodian Stephenson, of Bridgeport, and another individual, to enter into a sham marriage so that he could obtain a Green Card. If convicted of the charges against them, Henry faces a maximum term of imprisonment of 10 years and deportation. ABOUT: News Americas Now News Network is a newswire covering the Americas – the Caribbean and Latin America and its Diasporas with syndication on Google News, Apple News, across 21 plus news sites including on the Caribbean Today in Florida, on Irie Jam radio in NYC and on Social Media – Facebook, Twitter, Instagram, YouTube and Linked In. 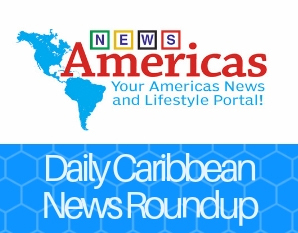 The post Caribbean News Roundup – Dec. 5, 2018 appeared first on Caribbean and Latin America Daily News.